Going Solo: Creating your freelance editorial business is a new 52-page guide to building a proofreading or copy-editing business from the ground up. At only £6 for a hardcopy (£5 for a PDF), the guide is a must-have for anyone considering making a career transition to editorial freelancing. If you enjoyed my recent posts on ballpark pricing, I'd recommend you head over to the An American Editor blog and read Rich Adin's ​'The Business of Editing: Ballpark Quoting for Copyediting'. Rich's analysis was inspired by his concern that the copyeditor doesn't have enough information about what's required such that an accurate ballpark quote can be provided. Are you a copyeditor? Do you offer ballpark pricing? If so, how to you get round the issues that Rich addresses in his article? Louise Harnby is a professional proofreader and the curator of The Proofreader's Parlour. She is the author of Business Planning for Editorial Freelancers, Marketing Your Editing & Proofreading Business, and Omnibus: Editorial Business Planning & Marketing Plus. Visit her business website at Louise Harnby | Proofreader, or connect with her on Twitter at @LouiseHarnby, Facebook and LinkedIn. If you're a new entrant to the field of copy-editing and are wondering what a great style sheet might look like, pop over to Katharine O'Moore-Klopf's website. Her Library resource centre includes a section on Style Sheets; she's generously shared three fine examples for academic, medical and fiction copy-editors. In June 2014 I guest blogged for Rich Adin on the subject of style sheets, and how incredibly useful they are for proofreaders: The Proofreader’s Corner: Show Me the Style Sheet! Katharine's samples are just the kind best-practice tools that make life easier for her clients and the other editorial pros in the chain of production for any given project. While you're on the KOK Edit site, it's worth checking out the Copyeditors' Knowledge Base if you're not already aware of it. It's a goldmine for newbies and old hands alike. Katharine is based in the US, but she has an international view of the world, and that means there's something for editorial pros everywhere. Louise Harnby is a professional proofreader and the curator of The Proofreader's Parlour. She is the author of Business Planning for Editorial Freelancers and Marketing Your Editing & Proofreading Business. Visit her business website at Louise Harnby | Proofreader, follow her on Twitter at @LouiseHarnby, or find her on LinkedIn. Many of you who are active in the online international community of editors and proofreaders will already know Corina Koch MacLeod, one half of the marvellous Beyond Paper Editing team. Corina's curating a new blog called Tech Tools for Writers, though you don't have to be a writer to benefit from the content – anyone who works with words (editors and proofreaders included) will find value here. Says Corina: "I've been posting ultra short tutorials on the kinds of tech moves writers and editors encounter in their work. ... After an editing colleague said to me, 'I want to learn how to use macros, but I just don’t have time,' I wrote a free 20-minute macro course on Tech Tools for Writers, designed to help authors (and editors) learn how to use macros in 20 minutes." So, if you're new to the world of macros, or nervous about using them, find a spare 20 minutes, grab a cuppa, and enjoy! Louise Harnby is a professional fiction proofreader and copyeditor. She curates The Proofreader's Parlour and is the author of several books on business planning and marketing for editors and proofreaders. Super news for those of you hungry for practical advice about editorial freelancing – the Society for Editors and Proofreaders has launched a blog. Says the SfEP: "The SfEP blog aims to provide useful and entertaining content to enhance the lives of anyone interested in proofreading or editing, while promoting the work and activities of the Society for Editors and Proofreaders (SfEP)." You don't have to be a member of the SfEP to contribute. More information about submission is available at Contribute to the blog. The inaugural post is out now: Editing Fiction: An addiction or bête noire? (by Gale Winskill). Future posts will address a full range of subjects of interest to editors and proofreaders, newbies and old hands alike, so it's definitely one to bookmark. Editorial freelancing and arguing online: Who wins and who loses? Many of us use a number of social media platforms to engage with the international community of fellow copy-editors and proofreaders. Sometimes we might disagree with each other, which leads to discussion and differences of opinion. All good so far. There's nothing wrong with differences of opinion – it's healthy when other voices show us different ways of looking at things. Sometimes, though, things can take a nastier turn whereby a person uses social media platforms to try to hurt us. And it's not just that being attacked online is hurtful. There's the additional fear that the aggressor's attacks will damage our reputations. So is it true and how should we defend ourselves? While I was researching my marketing book, I came across this super article that was written back in 2012 by marketing and small-business commentator Ty Kiisel (@tykiisel). It may not be hot off the press but it’s still relevant to any editorial business owner who engages on social media. You can read it here in full: 4 Tips to Manage Your Online Reputation (published on Forbes, 20 November 2012). “If you argue online you lose: Arguing online is like shouting at your neighbor, standing in the middle of the cul-de-sac. Everyone can hear you and you look like an idiot ... Fighting on social media never goes away. It shows up in a search long after the incident has otherwise been forgotten." Don't be rude because it hurts your personal brand. What goes online stays online. It’s probable that, at one time or another, every one of us has felt that we’ve been treated unfairly, even monstrously, on a social media platform such as Twitter or Facebook. Certainly I’ve been involved in LinkedIn discussions where I’ve wanted to call out someone on their appalling behaviour because I was convinced that if I’d been communicating with them face to face they’d have found some manners. We're not talking about a difference of opinion in these cases. We're talking about people being rude, sarcastic and spiteful. If you’ve ever been tempted to engage in an online war with someone who’s publicly attacked you, been rude to you, or tried to harm or undermine your professional reputation, then take a few minutes to step back and think about the best response before you hit back. Note that in Kiisel's view the attacker's vicious behaviour is more likely to damage her own business reputation than yours. Social media engagement is about communication and sharing. When we try to sell ourselves up by knocking others down – by publicly highlighting their apparent weaknesses or mistakes –we make ourselves appear unprofessional and untrustworthy. Given that many customers won’t buy from people or organizations that appear unprofessional or untrustworthy, it’s not a great game plan. It's more likely to turn into a PR disaster zone. Your online aggressor loses – they look like an idiot. Your aggressor is hurting her personal brand. Your aggressor’s unprofessionalism and untrustworthiness will stay online, visible for all to see. Meanwhile you retain your dignity and credibility. Customers like dignity and credibility. It makes them feel that you’ll bring those things to the table when they hire you. When I was a kid there was a TV series on the BBC called Why Don’t You? The theme-tune lyric went something on the lines of “... whyyyyy don’t youuuu just switch off your television set and go and do something less boring instead”. That’s what we need to do with social media attackers – just switch them off and go and do something else less boring. Attackers are extremely hurtful, unprofessional, untrustworthy and all the rest of it. But they’re bores, too. They're the most boring bores in the kingdom of boredom [yawn]. When we join in their war and feed their aggression, it quickly becomes boring for the others in our community who are witnessing the fight. If we hit back in public, and it goes on too long, there's a risk that the aggressor won't be the only kid on the block who's making everyone else's eyelids droop. Given the volume of "stuff" that we have to trawl through online, and the limited time we have to do it, we're all interested in getting the best bits and ignoring the rubbish. Switching off the online aggressor means we avoid becoming part of the junk. Not only are aggressors boring; they're desperate and creatively limited. They're not using their networking time to its best advantage. I'll share a little example. A lot of the articles on this blog are written late at night so that my blogging doesn't interfere in my family time. I'm a proofreader but I'm also a human being. When I'm tired I make the odd mistake. And, anyway, we all know that perfect self-editing is virtually impossible. That's why we all do the jobs we do. Last week I wrote something late at night and posted it live. I made a typo. It's not that my literacy is poor. It's just that I'm human. Anyway, someone in the international editorial community with whom I'd previously been unconnected sent me a private email to alert me to the typo. I thanked him profusely, amended the error, and then sought out this person on LinkedIn, Twitter and Facebook so that I could connect with him. He could have used the opportunity to humiliate me and undermine my reputation in the public arena. He could have left a sarcastic comment on my blog about my howler or posted something on LinkedIn: "Hey, look at that Louise Harnby. Credibility alert or what?!!! She calls herself a proofreader but she makes mistakes on her blog. What's that all about?!" But he didn't. He treated me with respect and recognized my human fallibility. He's the kind of person I want to connect with, share business ideas with, learn from, and engage with. He took 30 seconds of his time to tap me, gently and privately, on the shoulder rather than publicly punching me in the face. His delicate handling of my error led to us connecting. Now my network is bigger and richer. I hope that he feels his is, too. And the typo is gone. It's a win–win. When the opposite happens, though, there's only one loser: the aggressor. One second spent on the positive development of our businesses is more effective than one hour spent slagging off our colleagues in public. Perhaps some of you have experienced that really annoying thing children do when they're not interested in what you're saying. They don't even bother to pretend. They just walk away like you're not there; like your voice has failed to make any sound; like your words have no worth or meaning. Like you have no control over them. Without even saying anything they just shut you down. Hmmm ... there's a lesson there. So the next time someone hurts you online, ignore them. Don’t give them your precious time and your precious space by entering into an unwinnable argument. Instead, just remove them from your online life – unfriend and unfollow them on Facebook; unfollow and block them on Twitter; unlink them on LinkedIn; set up your spam filter so that it junks them when they hit your inbox. Act like they're not there. ​There are too many fabulous people to connect with, learn from, talk to, engage with, even disagree with, to make energy spent on your online attacker a worthwhile experience. Let's finish with a quotation attributed to George Bernard Shaw (hat tip to my colleague Beth Hamer for alerting me to this gem): "I learned long ago never to wrestle with a pig. You get dirty, and besides, the pig likes it." Here's to online engagement without the mud! Here are a few other interesting articles about the psychology of, and ways to deal with, online bullying, aggression and trolling in the business world. My colleague Arlene Prunkl, owner of PenUltimate Editorial Services, posted a shocking but important article on her blog about how the carefully crafted text on her website was stolen by several freelance editors who were too lazy to write their own copy. The article, entitled Caveat editor: beware the e-plagiarist, is available in full over at her website, and I'd recommend reading it in full. Arlene gave me permission to feature a link to her important post here on the Parlour. In the article she explains how her online content was stolen; she also provides some excellent advice on how to monitor and tackle the problem. If you're uneasy about my use of the word "stolen" I'll not apologize. While some view copying as a form of flattery, that's a poor excuse. At the very least it's lazy. At the very worst it's a deliberate attempt to jump on the back of someone else's hard work and success and pass those things off as one's own. Copying web content isn't like admiring our best friend's shirt and deciding we'll get one too. It's like going into their house without permission, taking that shirt out of their wardrobe, putting it on and claiming we bought it first! While freelance editors' and proofreaders' websites invariably address many overlapping issues in terms of service provision, there are thousands of ways to write that material in an original way. That plagiarism is quite a rare occurrence in the international editorial freelancing community is a testament to that fact. So when it does happen, it can't be tolerated, even if the perpetrator claims it was an "accident". It's incumbent on each of us, as professional business owners, to respect our colleagues (and the law) by seeking permission and citing appropriately when we use another person's words. I'd like to thank Arlene for highlighting this important issue and for offering solutions that ensure we can all strive for good, and legal, business practice. Sending professional-looking invoices that include specific information is not just a matter of good business practice; it's a matter of law, in the UK at least. I have to tip my hat to my colleague and fellow proofreader Kate Haigh (Kateproof) for alerting me to the following link from the UK government website: Invoicing and taking payment from customers: the law. Fortunately, my invoices already include all the information legally required by UK law, but I was glad to have the opportunity to check. Do take a peek at the above link if you're unsure whether your business invoices are compliant. If you live outside the UK, I'd be glad to include links to invoicing compliance information for other countries. Just drop me a line in the Comments below. For those of you who think you'd benefit from some advice on how to price editorial projects, Melanie Thompson's Pricing a Project: How to prepare a professional quote is now available direct from the UK's Society for Editors and Proofreaders. ​The American Editor blog recently featured a series of five articles on the 'Business of Editing: What to Charge'. Part V includes links to the previous four in the series. In this series, Rich Adin focuses on the 'effective hourly rate', including how to calculate and track it. And Canadian editor Adrienne Montgomerie recently discussed 'Talking Fees with Colleagues' on Copyediting.com, calling for openness and mentoring within our community on the matter of pricing structures. I love this easy-access list of special characters and symbols from How To Type.net. This site is well worth bookmarking if you proofread or edit onscreen and are a little rusty with your keyboard short cuts. For a list of emojis, try Emojipedia. In the past 18 months, a number of people have asked me how I went about getting those images of book stacks on my website. Did I hire a graphic artist? Did I take the photos myself and upload them? Or did I fork out for some horrendously expensive piece of software? None of these, actually. I did use software but it wasn't expensive: Box Shot 3D costs $49 and is available for Windows or Mac. The following is a sample of some of the projects styles I've set up, but there you can tweak to suit your own needs. Book jackets aren't the only option - there are also presets for business cards; software boxes; reports and binders; phones, tablets, and other devices; brochures; and even cans and bottles. As well as choosing which types of image you want to include, you can tinker with the perspective, and with shadow, lighting and reflection. I've used the images I've created not only on my website but also on brochures and other marketing material. As with any new piece of kit, it does take a little time to get used to making the software work for you, and I did find it a little fiddly to use at first. My perseverance paid off, though, and the images are very high quality. All in all, this is an inexpensive tool that delivers excellent results. I'm enjoying receiving Robert Clay's Marketing Wizdom tips in my inbox. For anyone who feels marketing is their Achilles' heel, this might be right up your street. ​The online magazine has lots of useful information, and you can sign up for a free newsletter. The first email I received contained a link to a free PDF book, too, so there's plenty of value to be had for handing over your email address. This week's tips concerned (1) determining your customer's needs and (2) developing your unique selling proposition, and there's plenty more where they came from. Highly recommended for the more savvy marketeer and the toe-dipper! I do like a freebie! PDFConverter.com offers PDF-to-Word conversion in three simple steps: upload your file, type in your email address, and hit the "convert" button. Your new Word file will be sent to your inbox. It's all done online – no software to download, no plug-ins required, and no registration. The maximum size of the file you can upload for free is 2MB. I tested it with a PDF of a large academic tome, and it did a great job. This isn't the only such tool available on the market, but it's free and so easy to use that I thought it was worth a plug. My colleague Liz Broomfield recently posted some excellent articles on her LibroEditing blog about the transcription service she offers in addition to her editorial work. I thought I'd share links to them because (1) I found the articles illuminating in terms of their attention to detail regarding both the market opportunities and the skills involved, and (2) this area of work may be a sensible consideration for those who want to extend their service portfolio to include something a little different but related. How do you start a career in transcription? If you like a macro that improves efficiency and productivity, here's a whole suite's worth: EditTools. You can try before you buy by downloading the trial version. If you decide you want to buy, the suite will cost you $69 per licence. Consider your hourly rate, factor in the time-savings and you can work out how long it will be until you recoup your investment. My guess is: quite quickly! This week's top link is Rich Adin's blog, An American Editor. Adin is an experienced editor who posts regular articles about the business aspects of editorial work, editing techniques and tools, and opinion pieces on the publishing industry more generally. Recent gems have included advice on professionalizing your business image, time-saving macros (using his EditTools package), and the future of editing as a profession. All in all, highly recommended. Many thanks to my colleague Laura Ripper for this week's top link, The Basics of APA Style Tutorial, a brilliant introductory resource for editors, proofreaders and writers. Says the APA, "This tutorial is designed for those who have no previous knowledge of APA Style®. It shows users how to structure and format their work, recommends ways to reduce bias in language, identifies how to avoid charges of plagiarism, shows how to cite references in text, and provides selected reference examples." Those of you who specialize in proofreading or editing music notation may be interested in the set of custom PDF mark-up stamps available from Tracker Software (the developers of PDF-XChange). I confess that I'm unsure of the degree to which these differ between countries, though if standard mark-up symbols are anything to go by, these music notation symbols may not be appropriate to all. I'd welcome comments from editors/proofreaders who work on music, so I can update this post accordingly. Hat tip to my colleagues Averill Buchanan and Wendy Toole for alerting me to about.me. This is a sharp little platform that enables you to create a 1-page website in minutes. If you already have a website then this is just another tool with which to advertise yourself online. If, however, you've not got round to building a website and are a little nervous about taking the plunge, or you're pushed for time, then about.me may be just the ticket. The screenshot below shows how I designed mine. I used my brand colours to make it recognizable. It takes only minutes to input the basics using the toolboxes, so if you're a little nervous with technology there's no need for concern. It's simpler than setting up a Facebook or LinkedIn profile in my opinion ... easy to navigate and edit, and no intrusive adverts or messaging that I can see so far. HMRC's Specific Tax Deductions: Use-of-home Examples is a super link for UK editorial freelancers who fill in their own self-assessment forms and want some guidance on what deductions they can include. This one-page guide gives seven examples, and one may well provide a solid outline for your own small business set-up. The example of at number 4 is an almost perfect match for my own set-up, the only difference being that "Chris" writes the words while I check them for errors. If one of these examples fits your editorial business model, it's relatively simple to build a spreadsheet with the equivalent formulae embedded to suit your own needs. Of course, you'll need to investigate what other professional expenses are tax deductible including professional membership, software, hardware, training, broadband usage, domain name fees, and mileage, but the above link is really useful for working out what fixed and variable deductions you can make that are related to the building you're working in. Accidentally deleted a file or folder? If it's in Dropbox, you can recover it up to 30 days after hitting the delete button. Think Dropbox is great for cloud-based file-sharing and back-up? It's a business life-saver too. You can restore any deleted file or folder you'd saved to your Dropbox account. Here's how to do it: Recovering and restoring deleted files or folders on Dropbox. It's a doddle. I put it to the test after a tech-meltdown led to hundreds of precious family photos disappearing from my PC. The're safe and sound and the recovery process took under a minute. Louise Harnby is a line editor, copyeditor and proofreader who specializes in working with independent authors of commercial fiction, particularly crime, thriller and mystery writers. 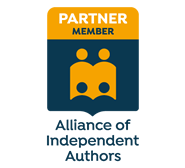 She is an Advanced Professional Member of the Society for Editors and Proofreaders (SfEP), a member of ACES, a Partner Member of The Alliance of Independent Authors (ALLi), and an Associate Member of the Crime Writers’ Association (CWA). FileZilla is free File Transfer Protocol (FTP) software. Some of my clients still prefer to use email to transfer files (which can be slow and expensive with large files if your provider limits your download allowance*). My preferred option is Dropbox or a simple file transfer tool like WeTransfer. However, different clients have different preferences, so I've been looking for an alternative. The software is available for installation on Windows, Linux and Mac operating systems and apparently is easy to use, even for a novice. For a helpful review of the product, including key features, system requirements, and pros and cons, read Review: FileZilla FTP Client (Jack Wallen, TechRepublic, 2010). *If your broadband provider limits your download allowance for the particular package you've signed up for, give them a call. I recently did this with BT only to find that an upgrade that included unlimited downloads was cheaper than the more restrictive package I'd signed up for 18 months earlier. It never hurts to ask! StatCounter is a free website traffic analytics program that allows you to monitor page hits, visitor counts, most popular pages, referral pages, visitor paths, duration of visits, geographical statistics, exit links, downloads, and so on. Unlike some free packages, StatCounter's code is invisible. The stats provided are time-limited in the free version (though you can download logs if you want to keep the history). I prefer StatCounter for daily use because the data is very readable and I don't always need to access in-depth analyses that cover long periods of time. When I do require this information, or additional metrics such as bounce rates, I turn to Google Analytics. If you want a statistics tracking program that's simple to install and easy to read, I'd recommend giving this a try. For top-notch business cards, I'm recommending Moo. I don't make a habit of advertising non-editorial business resources on the Parlour, but at a recent training course, where delegates were sharing contact details, I received a lot of compliments about my Moo cards! Even the basic paper is fantastic quality. You can opt for rounded corners and a matte or gloss finish. There's also the opportunity to incorporate a QR code at no extra cost. There are a number of ready-made templates to choose from or you can build your own (that was my choice) using their online design tool, which has some lovely colour choices. The customer service is excellent, too – friendly and professional. Prices start at £10.99 for 50 business cards. ShortcutWorld.com is a handy site I came across recently when googling for some information about Excel shortcuts. The site aims to be a wiki-style project offering useful keyboard shortcuts for a variety of operating systems (e.g. Windows, Linux and Mac) and types of software (including, but not limited to, InDesign, Google Docs, Excel, Word, OneNote, and Illustrator). On a related matter, don't forget Liz Broomfield's great tips and shortcuts for Word, which I featured in a previous Link of the Week: LibroEditing's "Resources for Word Users".